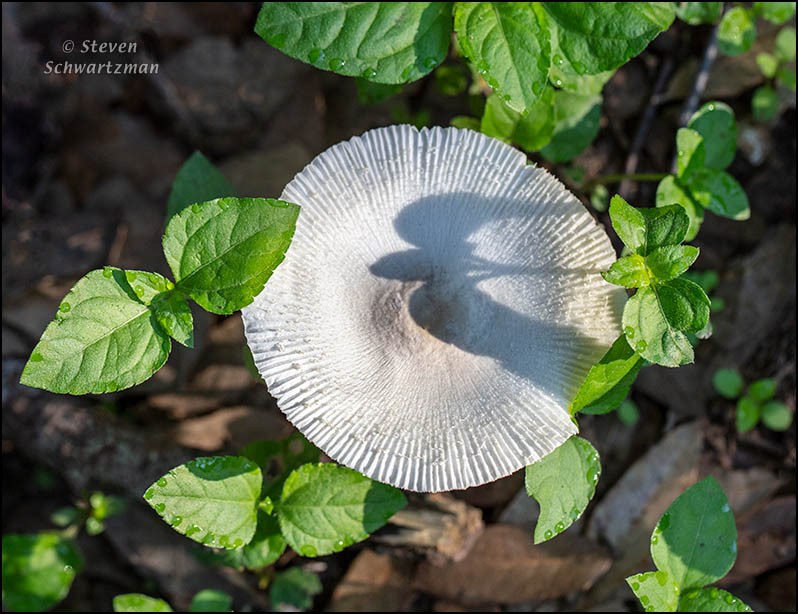 Along the North Walnut Creek Trail on the morning of September 19th I looked down at a mushroom and saw a dark bird winging west. Oh, the world of illusions we live in. Casting the magic shadow spell was a straggler daisy plant, Calyptocarpus vialis. 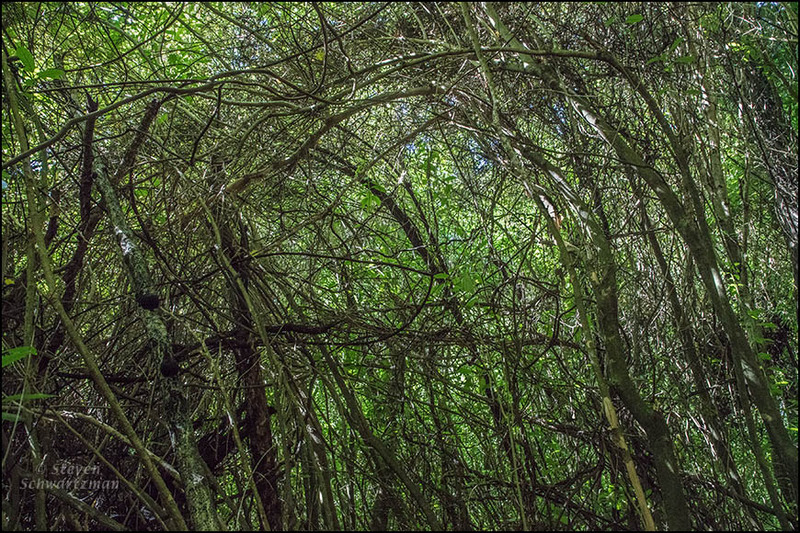 Right in Christchurch is a little piece of New Zealand that largely preserves the way things were before the Europeans arrived. You can read about it in an article on the website of the Christchurch City Libraries. 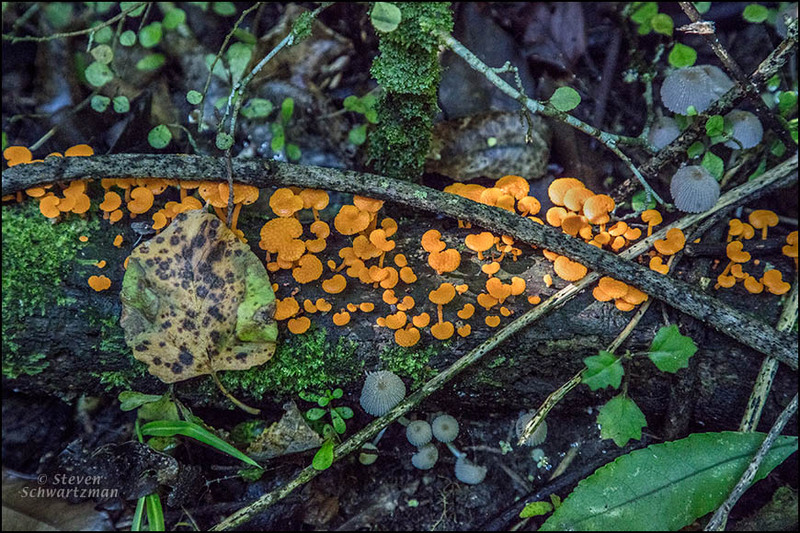 When we visited on March 1st, a bit of bright orange on the forest floor contrasted with the general dimness inside the dense native bush and couldn’t help but get my attention. 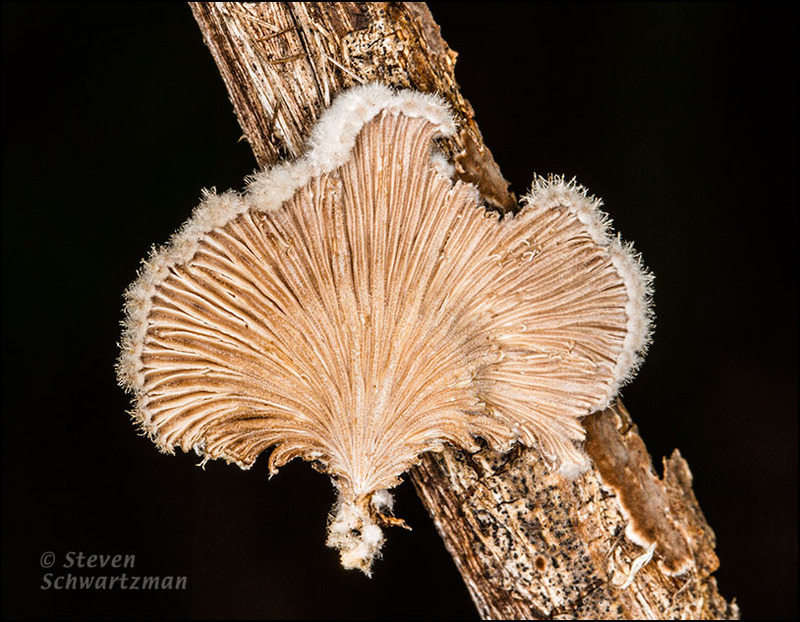 On a fallen tree trunk in Great Hills Park on October 6th I found an attractive fungus I don’t recall seeing before. It turns out not to be edible, but it does have appetizing colors, don’t you think? 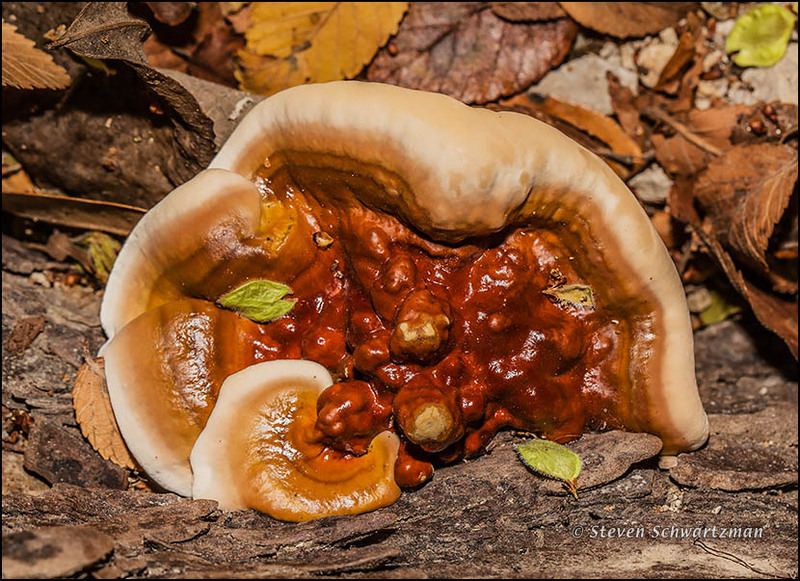 From looking at the photograph, Texas mushroom experts David and Patricia Lewis tell me that the fungus is probably Ganoderma lucidum or the very similar G. curtisii. According to the relevant Wikipedia article, Ganoderma lucidum has “a worldwide distribution in both tropical and temperate geographical regions,” and it has long been used in Oriental medicine. I’m attending the Native Plant Society of Texas symposium all day today. You’re welcome to leave comments, but I may be late in replying. 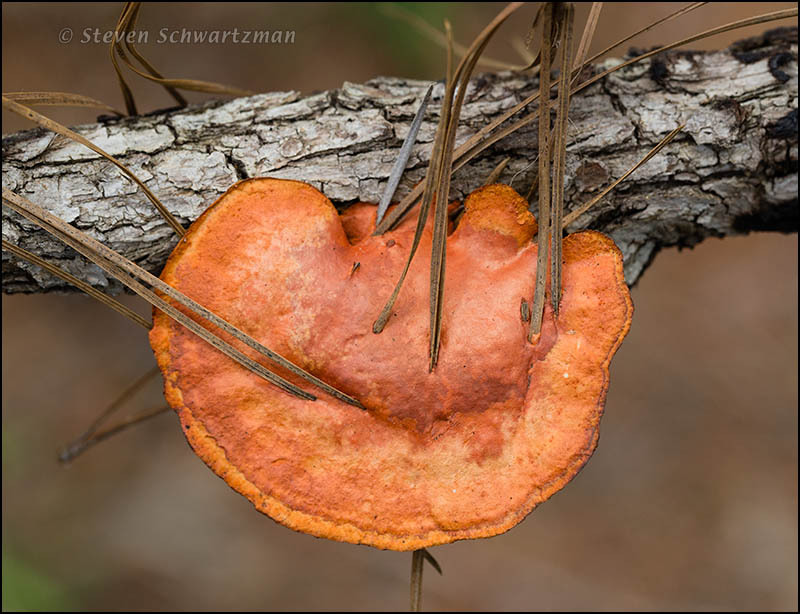 Within sight of the kidneywood that I photographed in my neighborhood on October 10 was this tan fungus growing on a broken-off piece of dead branch. 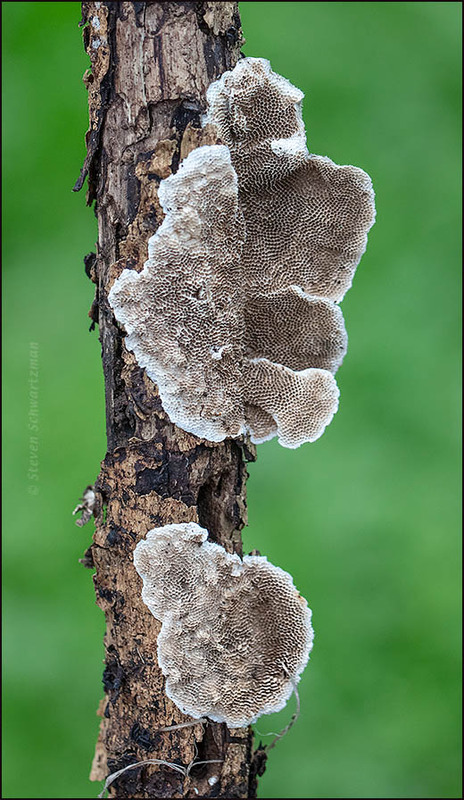 I’d have thought that the patterned side of the fungus would be facing the branch, but that tells you how little I know about such things. For those of you who are interested in photography as a craft, points 1, 2, 4, 8 and 19 in About My Techniques are relevant to this photograph.